Whenever you see someone you know, quickly mention the ailment you feel or else you’re jumping on the bandwagon. 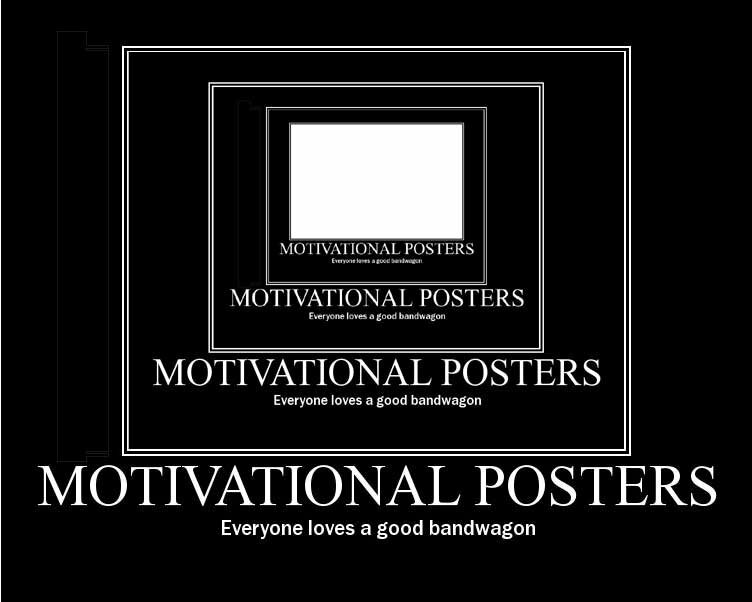 And nobody likes a bandwagoner. for realz. Why do you draw your future wife with eyes like most lobotomy patients?. 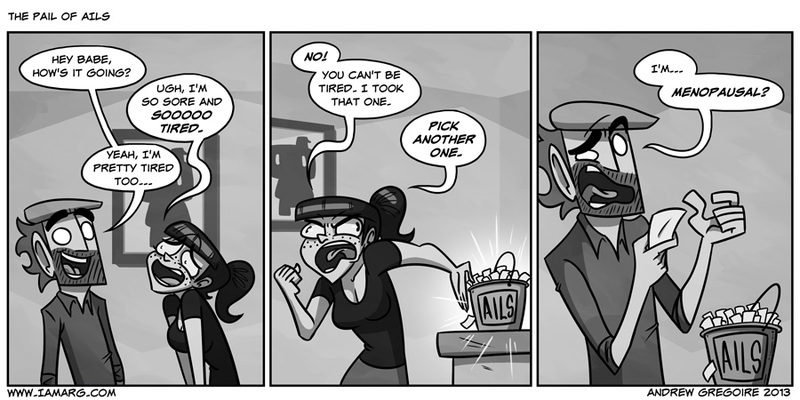 I think she cheated, she took two ails (being sore and tired). You’re only allowed one! Offer massages and ice cream. The Pail of Ails holds the rue that is true. Really enjoying your comic. Nice style. Great jokes. What? No “it’ll cure what ails ya” quip about the I am ARG Facebook page? Sure humans have a similar ailment for their male spectrum. It’s called andropause (and apparently affects the nuts and bolts of their hardware frame. We saw it can be fixed with some 3-In-One Oil and a round-trip near places with red lanterns hanging from the porch, preferably at night. Why, so do I! How truly amazing to meet a kindred spirit in breast-enjoying! Rias Germany, search it and have fun! Be glad you didn’t pick PREGNANT… that would have been embarrassing. Is that a… PAIL OF AILS?!?!?!? !